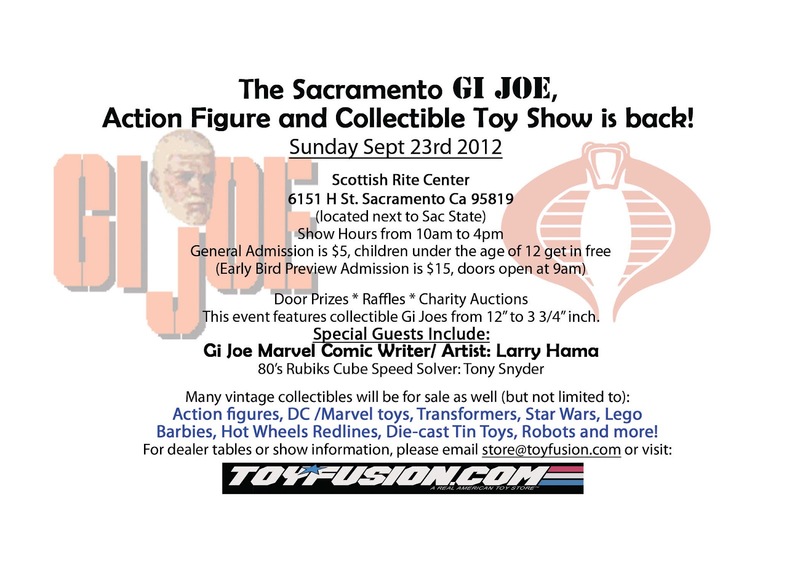 Attention Northern California area collectors: The Sacramento Vintage Toy, Action Figure & GI Joe Show is coming, put on by our friends at Toy Fusion! 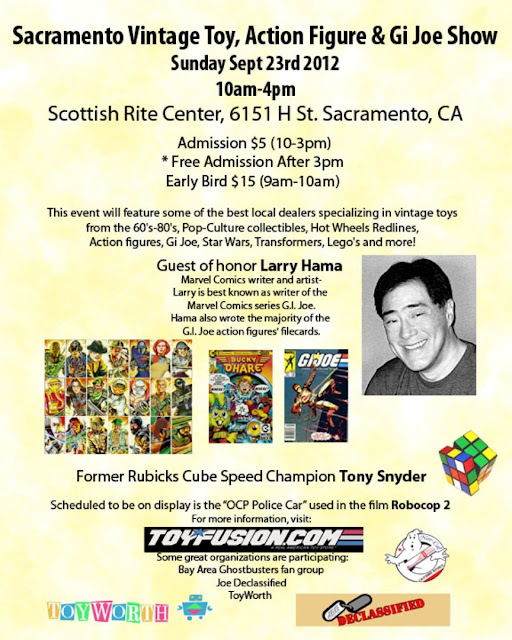 Sunday, September 23rd, featuring special guest Larry Hama signing autographs! Come check out local dealers selling and showcasing a wide variety of vintage and modern toy lines and collectibles, movie props, and other attractions. And of course, the OnePerCase crew will be there hanging out. Deets after the jump! 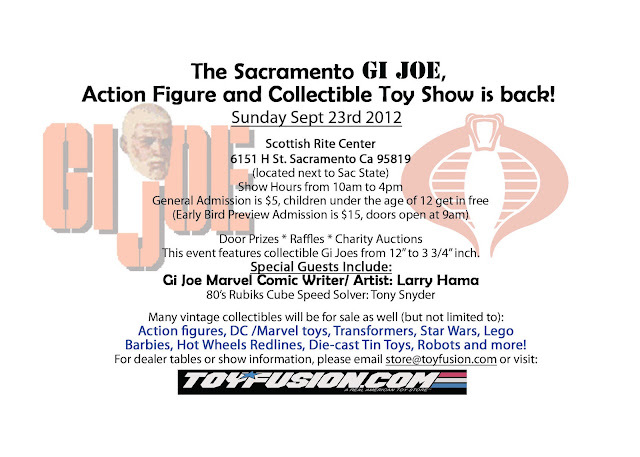 For all the latest, check out Toy Fusion's event page here.